Posted on February 1, 2018 at 11:31 am. The questions are an invitation to the creative muse within to give voice. The questions open space to listen, to acknowledge, to pay attention to the life which is stirring inside. From this listening, I journal some new ideas, inklings, tender saplings of projects and possibilities. And then ask… what is my elegant next step? So often we dismiss our ideas before we give them space to land. We push down the stirrings because they seem too crazy, irrational, ill-timed or inconvenient. We dismiss. And what happens to a friend when we keeping dismissing them? They are afraid to return in fear of rejection. I think ideas and creativity are a little like that- always stirring and wanting to befriend us, to accompany us on our journey in life; to spark things within. When we give space to listen, we are creating a welcoming ground for the creative muse. We are staying, ‘Come here, I’m open, and you are most welcome to sit for a while. It’s safe to land’. Then take to your blank pages, your notebooks, your napkins, and write down all those ideas, even the crazy and the inconvenient- let them land. Afterwards, take a few deep breaths and take note of how it feels in your marrow when you honour the stirrings. And then, only then, ask yourself, ‘what is my elegant next step’. With gratitude to the creative muse within us all, and the goddess too. Living Seasonally: The Spring Edition starts on Saturday 3rd February, where we will be gathering online to listen inwards, and harness this spring energy in the full spectrum of our lives. Posted on January 30, 2018 at 1:48 pm. After a long winter the time for the season’s turning is upon us. The days are slowly lengthening, we are emerging from the dark cycle of the year and moving towards the light. Life in the land is beginning to stir and new possibilities are starting to unfurl. Imbolc, the ancient Celtic festival, celebrates this beginning of Spring. Marked at the new moon on the 31st January/ 1st February, it is a time to welcome this turning. Imbolc derives it’s name from the Irish, ‘i mbolg’, meaning ‘in the belly’, which in turn relates to birthing season, as the soon to be born lambs are growing in their mother’s bellies. As we cross the threshold from one season to the next, we are witnessing a re-awakening in the landscape. Imbolc also gives us pause to notice the stirrings in our own internal landscape- what’s in our bellies and what ideas want to germinate or be kindled. It also gives us a chance to ask the nurturing and supportive questions of ‘how can this fire be tended’ and ‘how can the inner creative stirrings be harnessed’. 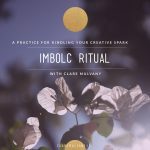 To support you I have designed an Imbolc Ritual to guide you towards your inner stirrings and your creative potential. To access your free copy, sign up to my mailing list and you will be sent access link! 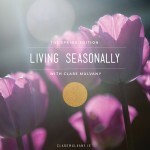 The guide is a prelude to the Spring Edition of Living Seasonally, which starts this coming Saturday, 3rd Feb. So, if you have new ideas stirring and you want some time and space to explore them, then Living Seasonally is for you. Plus, it’s a lovely thing which I pour my heart and soul into. 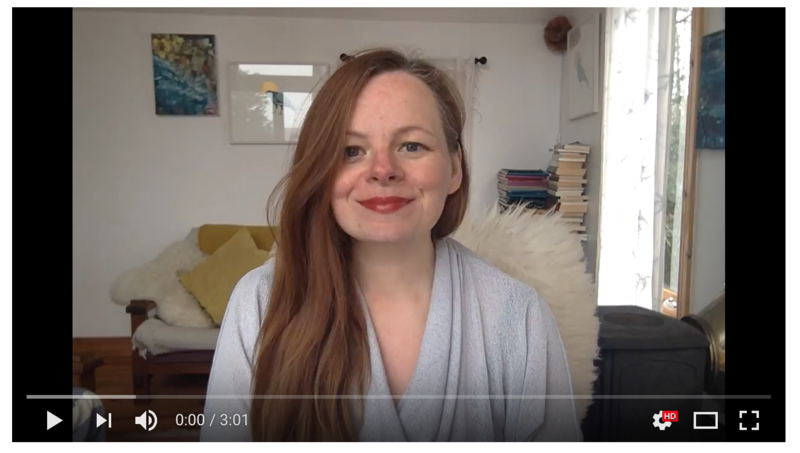 Every day I record fresh videos and I am active on the forum- so it is not a plug and play course, but a responsive and facilitated one, evolving as I learn from each participant. Thank you so much all, as always. PS. If you are joining the course, can I encourage you to sign up sooner rather than waiting until Friday please. That way I’ll have a better sense of numbers… and this really helps. Thank you! Posted on January 24, 2018 at 11:22 pm. It’s three weeks into January. Christmas holidays seem like a century ago (right?!) And right about now the slump can hit. Slump= procrastination/ doubt/ fear/ wanting to give up on whatever it is you set out in 2018 with and instead curl up in bed. Familiar? First up, curling up in bed in a wonderful thing, especially with a good book or a cuddly person beside you, or both! I’ve a new found appreciation for naps, for naps are dreamtime and dreamtime is our subconscious/ unconscious helping us to figure out the unknowns in our lives and reminding us of the mystery. So, yes to naps, especially when we are only still 3 weeks into January and (at least in the Northern Hemisphere, and very much in West Cork, it is wintery outside and the hailstones still insist on coming at us horizontally). And secondly the challenge is that default dominant cultural mode is to do. Get things done. Do things quickly. Like many of us, I’m a do-er. I get a buzz from starting projects and catalysing shifts. I love to see ideas made manifest in the world. So, I know it takes conscious effort for me to tap into the power of being. To be. We often associate being with ‘not doing’, which can, quite frankly, put the fear of God into all the default do’ers out there -and, yes, there are many of us! The other morning I got up and immediately jumped into my ‘to-do’ list. By 11am something was really off. I felt out of sorts, stressed, worried. Then it clicked- ah, my ‘to be list’. You’d think I would have learned by now. But learning is a cycle too. I am actively working with the celtic calendar at the moment and in these weeks before Imbolc (early Feb), we are in the dark receptive cycle. In this phase, ‘to be’ is to be receptive- to be open to receiving- to be growing with intent. I am realising that there are two layers to this receptivity- the inner and the outer. The inner layer is an inwards orientation to our own bodies. It asks us, what is it like to be receptive to our own presence, to the space of our bodies, and to our breath. What is it like to be open to feeling the textures we come in contact with on a moment by moment basis, and how does it feel to be aware of our intrinsic connection to all beings and all things, purely by virtue of our being-ness. To be is to be enough. That is baseline. This is the actual default of our lives, and yet we cover it up with busyness to safeguard ourselves from not feeling like we are enough. The outer later is the external ‘being-ness’: how we show up in the world around us. ‘To be’ in the dark receptive cycle is to be willing to give time to those parts of our life which are still in germination or gestation; to be engaged with the world as a receiver of knowledge, emotion, experience, grace and then to express this receptivity through a trust that life is forever unfolding, always, just as nature does. And so, with the remembrance, I return to my ‘to do’ list with a calmer breath. Suddenly the ‘to-do’ is put in perspective. I cross off some of the things which I realise are not urgent and return to the things which will help me to engage with the full presence of the day’s receptive unfolding. What part of your life is in gestation – if could be an area of personal life or business? And how can you attend to it with the care and support, as if you are nurturing the very beginnings of a tender sampling? If you are interested in learning more about the celtic cycles and using the wisdom with in your own life and business, Living Seasonally, The Spring Edition, is open for registration. We start on Feb 3rd. We will be actively looking into how we refine our intentions and cultivate nurturing inner and outer habitats for our ideas, projects and lives to grow. COMING SOON! 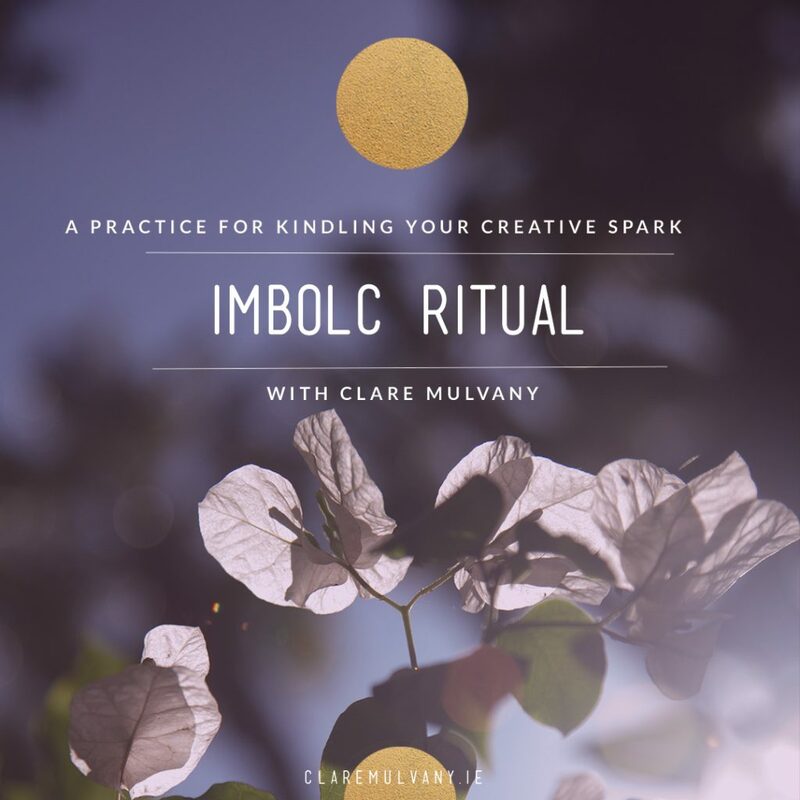 I’ll be sharing a beautiful Imbolc ritual with you all towards the end of this month- so watch this space. If you are not on my mailing list already, hop on over there, add your contact details and the ritual will be sent directly to you. Want to work one-to-one with me? Clarity Sessions is one month of powerful attention, tools and support tailored just for you. Find out more here. Posted on January 20, 2018 at 2:32 pm. We are part a large cycles of time. The earth has been revolving for millions of years. The moon has been orbiting. The stars have been forming, flaming and fading. 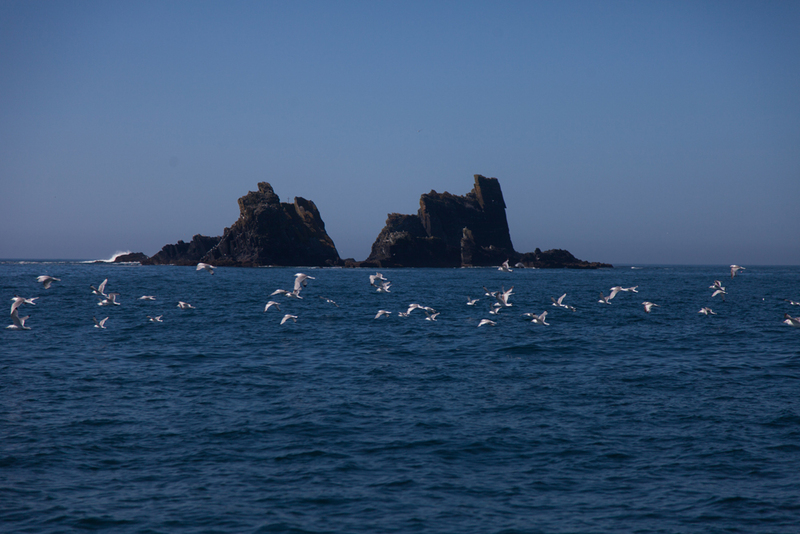 The oceans have been swirling and the seasons have been changing. We are here for a blink of an eye. Our time is precious and in this time we have an opportunity to be part of this magical cycle of life. Tapping into the cyclical nature of life can connect us to the deeper parts of ourselves: our old selves, our wise selves; our wild selves- the part of us that is intrinsically related to this longer than our life-span self. When we take a step back and see the larger narratives at play, we have a chance to see our own lives in perspective: what am I here to do, how can I contribute, what is my offering to this turning. The answers to your questions begins with connection. The seeds of connection is in engaging with our senses; in the tactility of the earth’s offerings. The connection starts with intention. 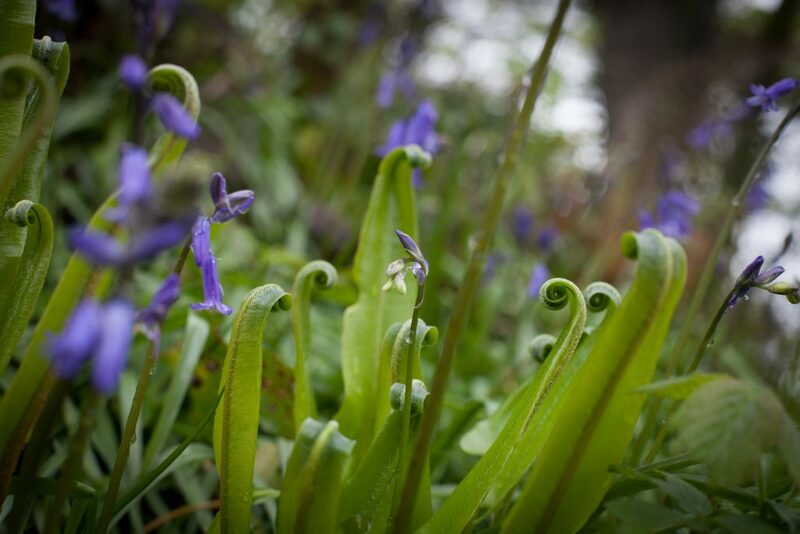 I invite you to join the next Living Seasonally course, Spring Edition, when we will be exploring intentionality in relation to the Celtic cycle of time. Feb 3rd- 13th. There will be invitations to listen inwards through creativity and words. There will be a chance to connect with others. There will be a sense of momentum as you move deeper into this dance of life. This tuning in can have a positive ripple effect on all aspects of your life: personal, professional, communal, spiritual. This is our exploration. This is my invitation. Posted on January 16, 2018 at 12:59 pm. Getting any project, business or venture off the ground can be a daunting task, especially for those with less technical orientations. 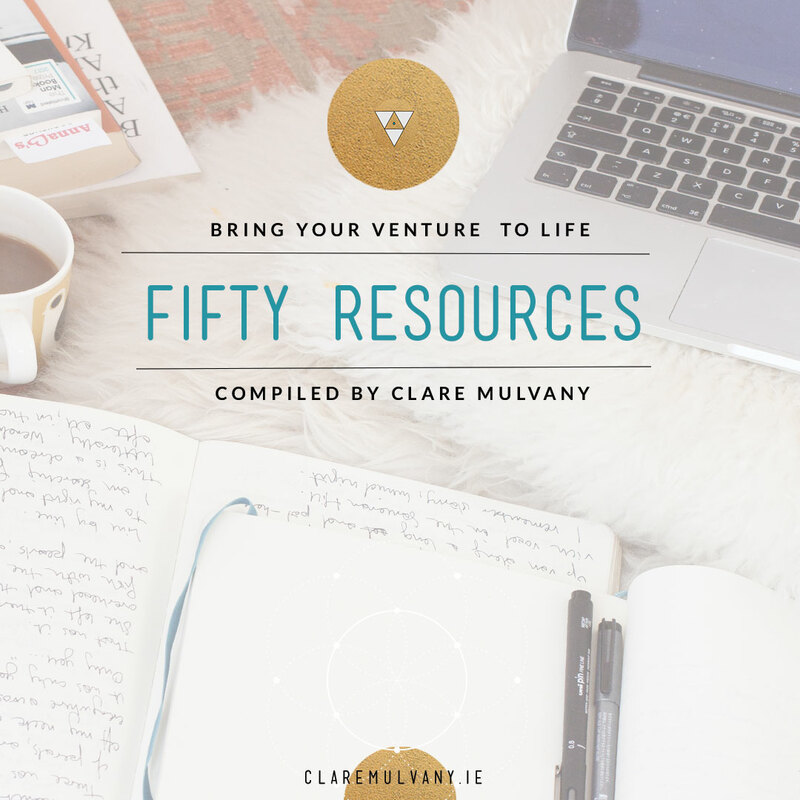 There are so many digital tools, resources, apps, methods- it can be a minefield. I know- because I’ve been there and have spent a lot of time trying to figure out what works for me, and what doesn’t. So, I have complied a list of resources and tools which could save you a lot of time and money. After 10 years as sole-trader (as a mentor, photographer and project starter) here are some of the best and simplest tools I have found. Many are no cost or low cost. I have put an asterisk (*) beside any which are free or have free versions available. I want to start with my best tools, which are not technical at all. They are my best tools because they help me to think more clearly and process what feels like a jumble of thoughts, ideas and the seeds of ideas in my head. My best tool of all is my journal. In there goes ideas, plans, morning pages, draft posts, course plans, random quotes, scribbles, doodles. I’m a big fan of soft-back large blank or dotted Moleskins. They are a bit expensive and this feels like an indulgence, but how I love their blank pages. The journal comes everywhere with me (except into the shower or bath! ), and it is usually beside my bed so if I can’t sleep because of an idea, I can just jot down what’s on my mind, and then it helps me get back to sleep. A journal is the closest thing to a panacea that I know. The next best tool I use is a large blank roll of white or brown paper (mostly wallpaper lining). On there, comes the big picture views- mapping the year ahead, or a book projects, or a marketing plan. 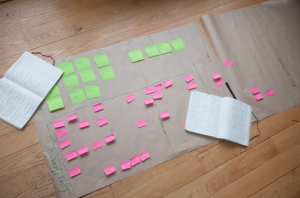 The big sheet helps me to see links between ideas and helps me cluster projects into plans. Coloured pens, post-it notes and some design thinking symbols also help to make the muddles in my head look a little bit logical. These plans then get condense into Trello lists (see below). I keep a separate notebook/ day planner for day to day to do/ priorities. This is often just a refill pad- something not too precious. These days, it need not cost a huge amount of financial investment to get your venture started. You can build a website, get good design and begin getting your offerings out into the world with some clicks and a few emails. Over time, when you know you have a product which works and the services you are offering are tried and tested, you can then invest in higher end production and design. My website is a wordpress.org site*, which I got a web designer to create. I have learned some very basic html coding so that I can add and amend a little- but I still need her support with some design work. I use a security plugin (iThemes). I have also created websites on wix.com * and vibr.com – both of which I’d recommend for ease of use. I use GoDaddy to buy domain names and Blacknight Hosting. I’ve found Mailchimp* to be very reliable and solid for my email marketing needs so far, also easy to use. Their reports, analytics and help services are excellent. I’m on Gmail*. The Boomerang* plug-in for Gmail helps to schedule emails and set up replies to send at a given time. This means I can write a batch of emails and have them deliver when I think is the best time for the receiver. Skype video* for online coaching sessions which I record using Ecamm and email back to clients using WeTransfer*. I’m on Facebook*, Instagram*, Linked-In* and Twitter*. I use Tweetdeck* to plan and schedule tweets. When I’m really organised I use Trello* to help me map out an editorial calendar. I use Trello* for keeping lists and workflows. It’s like a way of organising digital sticky notes. I use the mobile app to add to these list on the go. So, for example, if I am hosting a workshop, I keep each topic as a separate note and can tag on notes, images, memos to self. If the workshop flow changes, I spend a few minutes the next day reviewing my trello board, re-ordering the workshop agenda so that the next time I have it all ready to go, so that it will take less work to organise and prepare. Other Trello lists include: lists of potential clients, email template scripts for saying ‘No’ (which can be really hard to write on the fly), books I have on loan, and outlines of several writing projects. want to do. When I have one of those days when I just can’t focus and I need to, I use the pomodoro method. So I use the timer on my phone in increments of 23 mins per slot. Dropbox* has been my friend. I use the mobile app to bring photos into Instagram. Google Drive* for sharing documents, especially if two or more people are working on the same document. I have availed of free fonts on DaFont*. Occasionally I turn to Canva* for poster design. I have made some one-off books on Blurb. moo.com. I love that I can have a different image on each card. I also love their new ‘cotton’ option, which is made with recycled T-Shirts. I use a Zoom H4N to record audio (meditations, newsletters, course content, reading etc), and edit using Audacity*. If I am out walking and have an idea, or in bed, and have an idea- I audio record it on my phone’s dictaphone. Most of my video for my online courses is simply recorded with the Photobooth on my Macbook. Where necessary I use Premier Pro to edit. I have used both YouTube and Vimeo to host video. Images are shot in RAW format, processed with Lightroom, and, if needed, additional editing in Photoshop. I also resize and reformat in Photoshop. I’m a Canon Girl, working with a Canon 5D Mark II, and three main lenses: 50mm f1.4, 100mm f2.8, 24-105 f4. I maintain a library of my own stock imagery (on back up hard drives) and keep a selection of these in Dropbox* so they are easily accessible for sharing on social media etc. I use Ruzuku so far, and so far, it has been good. The format is easy to use and to access. I am also considering Teachable. Typeform* has been good for online applications for programmes and for gather feedback from course participants. I use Bullet HQ* to keep track of invoices and income. In theory I use their app to track expenses, but this is not always consistent for me- but it is an option! Other than that, it’s basic spread sheets. Online banking with a separate business account (I am always amazed particularly at how many sole traders don’t have a separate business account). I use both PayPal and Stripe for online payment processing- and never had any issue with any of them. Hand written notes, thank you cards, snail mail. Antiquated? Maybe. Powerful. Beyond a doubt. People who come on retreat with me get little hand written notes, someone offer you a valuable piece of advice- popping something in the post as a thank you makes the exchange even more precious. Writing letters to people you admire- priceless! Picking up the phone. An email might do it, but would a phone call be better? Often because it’s… connection and connection is what relationships and networks thrive on. I don’t use fancy editing or writing tools. Things start in my journal, or a post it note, or a napkin, then make their way to a word document. That’s kind of it. A nice pen helps. A free PDF of this Resource Pack is available. Sign up to my mailing list for this plus more resources, tools and practices for leading your own one wild life. Hope you have found this helpful! Happy plotting and planning! How Getting Clear Changes Everything… Because, It’s Time. Posted on January 8, 2018 at 8:06 pm. Did you all see Oprah’s speech on the Golden Globes last night? WOW. Now, there’s a woman in her glorious power, there is a woman who embodies fierce grace, there is a woman who stands phenomenally in her own fullness and realises that when she shines, she gives permission for other’s to shine too. This is clarity. This is intention. This is purpose. This is the sacred dance of light and life. I know Oprah get’s it: that it’s time. It’s time for women to shine. It’s time for men to join in the chorus of the feminists and shine alongside them. It’s time for the creative spirit of feminine leadership to rise and shape how we do politics and power, culture and the commons. Because, by God, it’s about bloody time. That means for me. That mean’s for you too. Yes, I mean it, for all of us. It’s time. 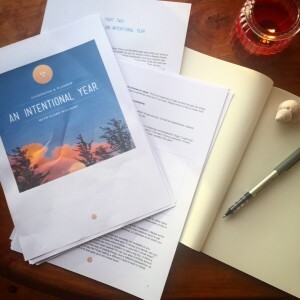 I want to share this personal story with you: curled up by the fire, with my blank pages and intention sheets spread out across the rugs, something deep inside of me had a massive re-configuration over the New Year. In all it can be summarised also as ‘It’s time’. That means – it is time for me to do the big work that I have been sensing in me for years, it’s time to let my inner light to really shine, it’s time to not let the (perceived) judgements of others prevent me from creating what I want to create or serving in the way I sense I am to serve. It’s also time to stop making excuses for myself, or blaming my thighs, or blaming the way my jumpy brain works, because well, that is not serving anyone- the blame-especially me. This is my one wild and precious life after all, and I want to show up in fullness to this crazy beautiful world which I have the privilege of being a part of. Who I am being called to be? When we go deep into that question we find that the clue to unravel it is in the ‘be’ . And when we give ourselves permission to go there- to our beingness– what we find is a great, infinite, connected, wondrous, and powerful self- because that self is already deep inside us, and has been all along. This insight gives us the power to know that we are already good enough, worthy enough and talented enough. (And, for sure, Oprah lives this). What am I being called to do? How am I willing to enter the arena? 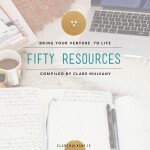 How can I really and sustainably resource myself? And how can I let my intention and attention lead the way? So, yes, I’ve been looking in the metaphorical mirror too and asking some of these questions. It means that things are undergoing change around here, and I wanted to share some with you now. Internally, my biggest intention is to ‘nurture positive interior space’ – which essentially means shifting the way I speak to myself- less self judgement, more self compassion. 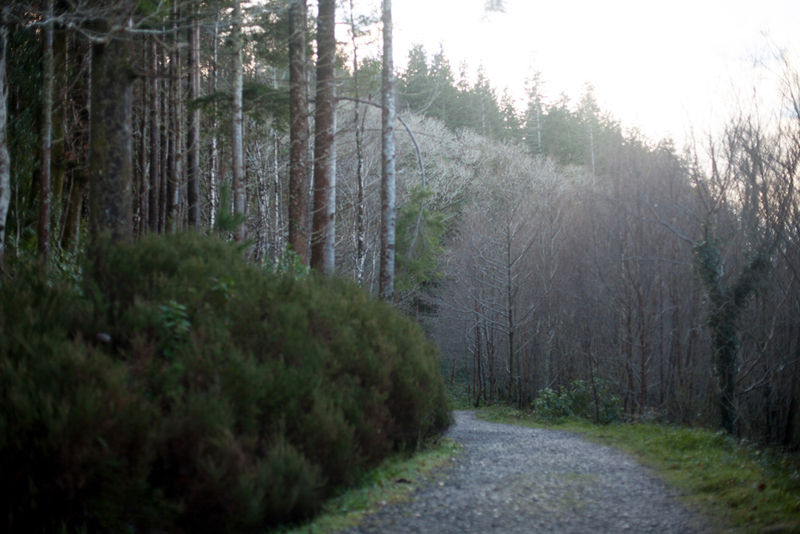 Firstly a regular meditation practice– to create space to tap into the inner infinite. and secondly, the cultivation of a stronger relationship with the future self, the higher self, than to the past self or critical self. This involves developing regular rituals, practices and resources which keep the higher vision alive and clear. It’s all a work in progress (as always), but what is really clear is that keeping the vision alive is very much a practice which requires daily top up whether that is through journalling, yoga, nature walks, sitting meditation or visualisation. Then there are the external shifts. And here’s how clarity is changing things for me over the coming year(s)…. I’ll be continuing the Living Seasonally online courses, four per year, to honour the wisdom of turning to the seasons and the momentum which is embedded into the celtic cycles (The Spring Edition starts Feb 3rd). And my coaching/ mentoring work is shifting too. I’ll be developing some group courses and resources online, and my one-to-one work is also more focused.With that in mind, I have taken a long look at my business model, and for things to be sustainable, it’s also clear that I had to raise my prices. 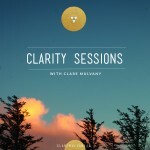 So, you’ll this reflected in the new Clarity Sessions package.. So, if you know it’s your time too, and you’d like some support to map out your internal and external intentions, now is a good time to book in. So, folks, clarity- it’s changing, everything. In some part of your life, it’s time too..
Time to stop holding back. Time to do your big work. Time to love like you have never loved before. Let’s do this. Because, you’ve guessed it, it’s time …. Would you like to work one to one with me? The Clarity Sessions are designed to get you clear on your own inner and outer intentions and follow up with focused action. PS. I’ve loved Oprah for years but now she is orbiting new levels! So yes, Oprah for President! And is she eligible to run for Presidency in Ireland?!! 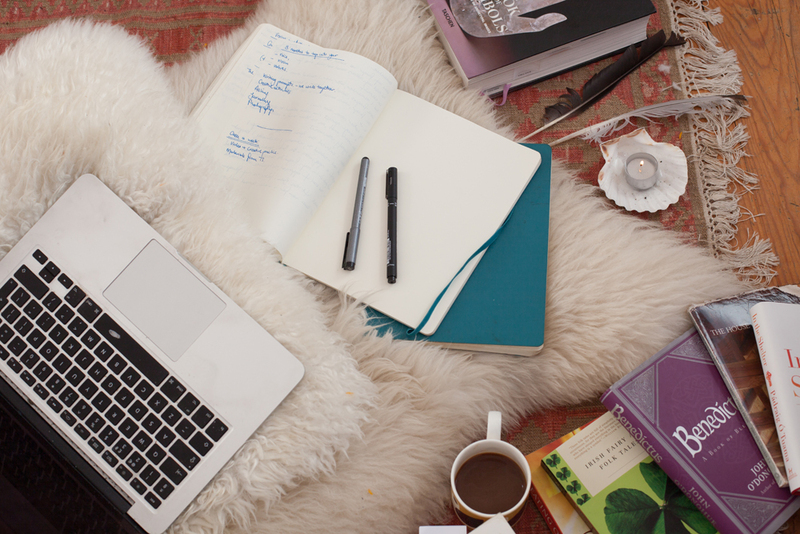 Stay in touch.. Sign up to my newsletter for free resources, planners, special discounts. Posted on January 5, 2018 at 1:29 pm. Slowly, slowly, the days are getting longer. The predominate culture at this time of year tells us to go faster, do more, get fit, push harder. But look outside- the trees are bare, the ground is preparing for new growth, the wildlife has slowed to a rhythm which respects renewal. But underneath the surface, there is an active waiting for the right timing. It’s not dormancy- it’s receptivity. In the celtic system, we are in this feminine phase of ‘active waiting’, fine tuning our receptivity radar to be alert to callings and new growth while tending to that which serves renewal. The feminine is dream space, depth space, ‘out-of-time’ space. It’s in all of us, male or female, and it has the capacity to tap us into our innate underground source of creativity, and from there springs forth the channel on which we can travel onwards. Time to journal, time to have conversations with your intentions, time to open your heart to your inner world of knowing…. ‘How can you actively participate in your own unfolding?’. The Clarity Sessions are designed to help you get clear, get intentional and build the momentum to help you share your gift with the world. One month of deep conversations, creative practices and follow up support. If you have some wisdom to share with the world, and you know it is time, but are seeking some space to dream, plot and plan and then these sessions are for you. Want to stay in touch and gain access to ongoing resources? 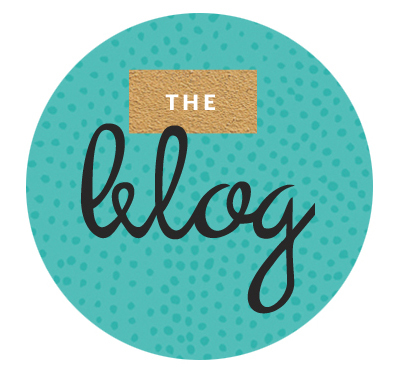 Sign up to my ‘Notes for the Edge’ for updates, tools and intentional practices. Posted on December 31, 2017 at 9:55 am. As we stand on the threshold of one calendar year to the next, the threshold is both an invitation and a doorway. The threshold offers us space to reflect, recalibrate and concentrate our attention and intention on the life we constantly choose to step into. 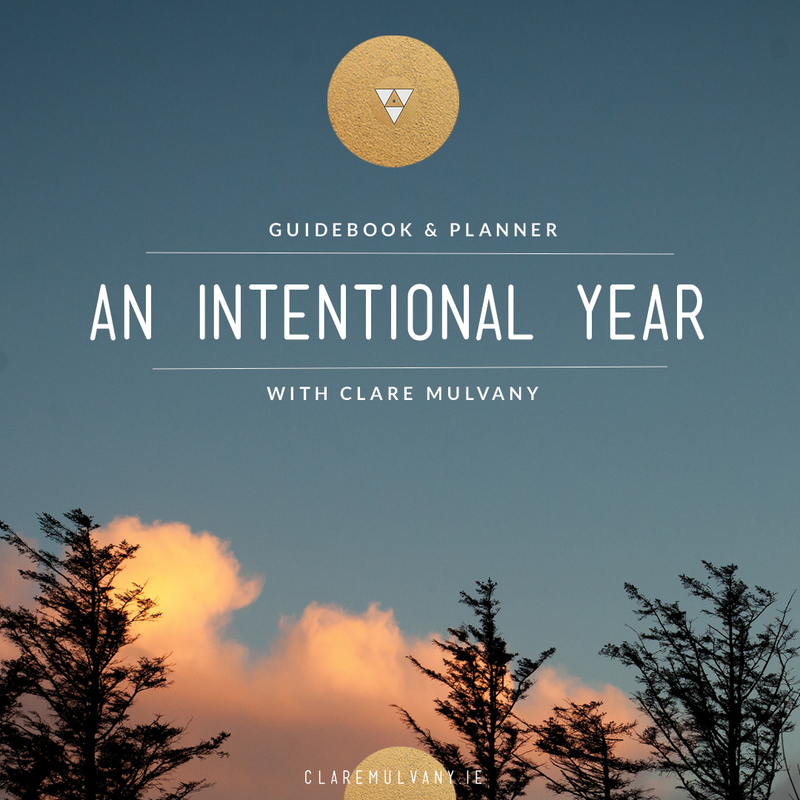 To support us I have a designed as a resource for helping us create intentional lives, year by year, day by day, one elegant step after another. In times of challenge it will help us surmount our fears, doubts or obstacles with discernment and tact. In time of uncertainty, it will align us to clarity. In times of loneliness it will help connect us back to what matters most in our lives and the wider landscape of life, beauty and connection which is integrally and often invisibly woven into the fabric of our days. This guide is intended as a map to you own inner guidance; as a place you will be able tap into your wisdom and find your way back to yourself whenever you need direction throughout the year. It is so tempting at the beginning of the year to be harsh with ourselves- reprimanding ourselves for our failings or our misgivings. We resolve to create new habits but often set unrealistic goals for ourselves. While on the surface some of these goals may seem lofty (fitness goals in particular) often they are driven by fear and feelings of not feeling worthy, loved, good enough or successful enough. By week three when things generally start to wane, we are spun into a cycle of regret and feelings of failure, and so we resolve again to do better while beating ourselves with the reprimanding stick. Ouch! Which is where INTENTION comes in. Intention differs from goals or resolutions in that it hooks us up to the highest innate possibility within ourselves. It does not condemn our faults, it has no grievances with us, it does not resolve to ‘fix’ us or ‘heal’ us. Instead it recognises that we are already whole, beautiful, and sacred. Intentionality brings us back consistently to the remembrance of our intimate and intrinsic wholeness. To access your free planner, sign up to my mailing list and you will receive the link directly. For those already on the list, check your inbox! Posted on December 27, 2017 at 7:27 pm. Welcome back everyone. Hope you have had a lovely, peaceful and joyful Christmas. I’m back with the Poetry Salon today, sharing poems on the theme of Joy- joy in an expansed sense of contentment, appreciation and completeness. Today, some poems from Adrienne Rich, Derek Walcott, Vona Groake and the delightful Clemency Emmet. Today on the salon we are turning inwards again, to find space within which holds room for magic and mystery. 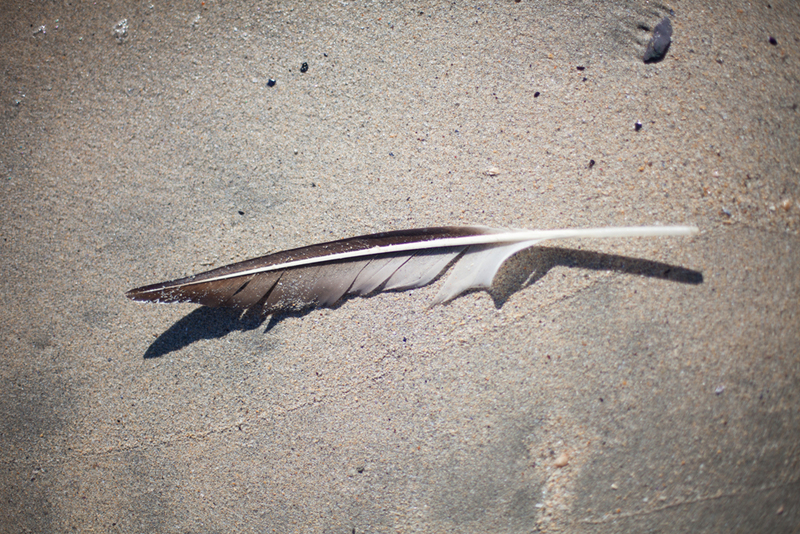 And we are turning towards the writings of Rumi, Rilke and O’Donohue to help take us there. As the winter solstice approaches, let’s give ourselves over to the magic and mystery of this time of year. I hope this salon is a comfort and a guide too.